Some time ago Noida-based entrepreneur Sushmita Sinha’s son had a cough that lasted for almost a month. A worried Sinha decided to buy an air purifier. “It had a dramatic effect. Earlier, my son would lie awake at night coughing, but now he sleeps peacefully,” says Sinha. An air purifier can be a panacea for many. “If pollutants like pollen, dust, dust mites, mould, tobacco smoke and pet dander trigger seasonal allergies in you; if there is someone with asthma, a child with an underdeveloped immune system, a pregnant lady or a pet in the house; or you live in a construction zone, you should buy an air purifier,” says Jayati Singh, business head – air, health and wellness. The first thing to look for in an air purifier is a high efficiency particulate air (HEPA) filter. 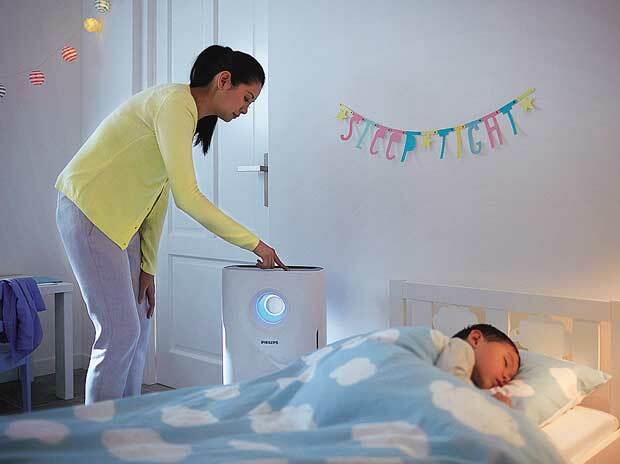 “Buy an air purifier with a HEPA filter and not one with a HEPA-type filter,” says Marzin Shroff, chief executive officer – direct sales and senior vice president – marketing, Eureka Forbes. An activated carbon filter and microbial disinfection are other must-have features. Also pay heed to the air purifier’s Clean Air Delivery Rate (CADR), a measure of the purified air being delivered (metre cubes per hour) by an air purifier operating at its highest speed setting. “Match the appropriate CADR to your room size,” says Mahesh Gupta, chairman, Kent RO Systems. Buy an air purifier that is suited to your needs. According to Singh, the HEPA filter is a boon for an asthmatic, while an ozone-based purifier should be strictly avoided. ECARF certified models (a European certification meant to help allergic customers) with HEPA filters are ideal for people with allergies. A device with a pre-filter is a must for those residing in areas with heavy construction activity. For people living in places with high levels of gases, odours and pets, activated carbon works well. If you are going to use the machine in your bedroom, buy a machine with a low level of noise. Also, buy one with adjustable speed settings so that you can turn it up to a higher setting when you are not in the room. “Purchase a machine with a slightly higher square-foot capacity than you need, so that you can run it effectively on its quieter ‘low’ setting, resulting in less noise and less energy consumption,” says Singh. A display, which shows the quality of indoor air, is a useful feature. Some air purifiers come with a humidifier, which helps maintain the right level of humidity indoors. While the Delhi government is considering installing outdoor air purifiers at traffic intersections, it turns out that the last time the city experimented with such a project, it was left hanging for five years. The New Delhi Municipal Council had set up an air filtering station in 2010, before the Commonwealth Games. The purifier was installed outside Palika Bazaar in Connaught Place free of cost by a company called System Life on March 6, 2010. The machine cleaned 10,000 cubic metres of air every hour for about 18 months. The system worked by cleaning polluted air of particulate matter and gases with fabric filters, active carbon cartridges and electrostatic filters. According to System Life India director Dhruv Chanana, the machine was operational till October 18, 2011, before being removed. “It was removed because no one wanted to accept the need to clean the air,” said Mr. Chanana, adding that had the NDMC gone ahead with more such purifiers, the pollution levels in the area would have reduced. That being said, the authorities have remained mum on the effectiveness of such a project. Dr. P.K. Sharma, NDMC’s Medical Officer of Health, said it was a pilot project and had not received the necessary approvals to continue. “It was a free demonstration by the company. Before continuing with the project, it required clearance of the Central Pollution Control Board and the Delhi Pollution Control Committee. We are yet to receive that,” said Dr. Sharma. The air samples from the trial were analysed by three Italian scientists, including from the University of Modena. Their report was submitted to the NDMC and subsequently to the DPCC. According to the report, a copy of which is with The Hindu , a total of 2.12 kg of particulate matter had been detained in 860 hours and the filtering efficiency of the system was 95 per cent. The report concluded that with an “appropriate number of systems” (about 22 for Connaught Place) the air quality of an area could improve. The DPCC, which works under the Delhi government’s Environment and Forest Department, for its part, did not make any comments on the efficiency of the system, as per a letter sent by one of its scientists to System Life on October 12, 2010. According to the letter, a copy of which is with The Hindu , the DPCC had not commented on the report “as no specific study was undertaken” by it. Environmentalists, however, used the experience of the NDMC project to question the AAP government’s proposal to install outdoor air purifiers. Anumita Roychowdhury, the head of the Centre for Science and Environment’s air pollution and clean transportation programme, said air purifiers worked within confined environments, “but outdoor air is a complex chemistry with dynamic movement pattern”. Olansi is a specialized manufacturer of wide range of air purifiers to improve the quality of indoor air. It also offers latest water purifiers and hydrogen water makers. Air purifying machines play a vital role in filtering out harmful bacteria, dust and dirt particles to make the indoor air suitable for healthy breathing. There are many agencies that are specialized in manufacturing air purifiers based on latest technology. Olansi is one such company that offers top grade air purifiers at competitive prices. The company has its own advanced manufacturing unit where the Research and Development teams in collaboration with the group of experienced engineers offer the best eco-friendly and energy efficient products to consumers. All its air purifying devices arrive with innovative designs, stylish and appealing packages combined with flawless engineering techniques to filer out latest traces of harmful components from indoor air. The agency has brought out varieties of home air purifier that normally helps in removing unpleasant odors of tobacco smoke, pet smell, beverage etc. These purifiers can eliminate mold, dust, allergy and pollen as well as germs, virus and bacteria. These machines feature an auto air quality control with odor sensor and indicator. These are loaded with ultra-quite DC motor with low electricity consumption and 3000 hours of life time. These machines ensure constant flow of clean fresh air inside the room to offer better sleeping experience and improve human immunity. These purifying machines are ideal for those homes where people are suffering from cardio-respiratory health problems. Through installing such machine, it is possible to facilitate the flow of fresh air inside lungs, heart and brain. The room air purifier models of this company comprise of advanced HVAC filters to prevent the entry of harmful airborne particles inside the room and to deliver air in a dispersed manner at a relatively slow rate. These filters arrive in various MERV ratings to effectively check the flow of harmful components of indoor air. These filters are usually made of a flat, pleated sheet composed of millions of microscopic fiberglass threads to form a complex maze for trapping airborne particles. The company pays extreme attention to details while manufacturing such air purifying devices especially for indoor rooms. Its whole house air purifier models are capable of reducing the concentration of ozone through the use of top quality carbon filters. Apart from capturing ozone, these filters are quite efficient in removing odors of cooking smoke and that of burning tobacco products like cigarettes. The company normally accepts payment through PayPal and other secured means of transaction. It uses fastest shipping options of TNT, DHL and others to deliver products within fixed period. Olansi is a specialized manufacture of air purifiers, water purifiers and other related products. All its products are based on current international standards. To know more, customers can visit the website of this Chinese company. In our travels to China, we’ve seen first hand how air pollution is bringing down the overall health of the region especially the air quality in India. After all, we’ve been actively building our brand over there, for a reason – to contain the problem and help residents breathe better than ever. Apparently, we’re not alone. The United States has recently unveiled plans to expand monitoring of the world’s air quality, in efforts to increase awareness of air pollution in foreign countries and prevent unfit air regulations from affecting U.S. citizens abroad, along with bordering countries. The announcement was made last week by Secretary Of State John Kerry, who said that the US government will partner with the EPA (Environmental Protection Agency) to expand our preventative watch on air quality into countries like Vietnam, Mongolia and India – who has some of the worst air quality in the world. This outreach plan comes after years of research on air pollution in China, who the US had been monitoring for a while. Since 2008, the US Embassy in China has been monitoring levels of PM 2.5 – airborne particulates that hurt human health more than any others. Although the watch was not well-received by Chinese officials, the reinforcement did pressure them into putting more focus onimplementing air quality regulations of their own. John Kerry and the EPA hope similar results begin to happen across the board, once their new plan is put into place in other countries, around the world. What are your thoughts? Do you appreciate the United States’ efforts to help the air quality in India and other countries? Or, do you wish our government just worry about the air quality in our own backyard? As purveyors of breathable air across the world, we’re just happy to hear about any initiatives focusing on better air quality, in general. 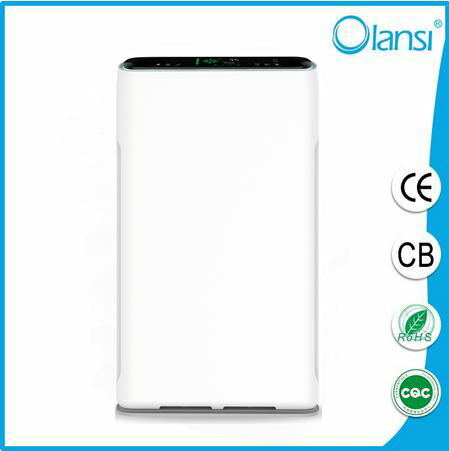 Guangzhou Olansi has conducted testing and research on several models of home air purifiers and filters, using a specialty laser particle counter to measure the percentage of particles removed from the air. Here are the key fact you need to know about HEPA technology and its use in air purifier and HVAC filters. HEPA is a flat, pleated sheet composed of millions of microscopic fiberglass threads, forming a complex maze which traps airborne particles. Because particles 0.3 microns are the weakest point of the filter’s performance, a filter is only classified as HEPA if it removes 99.97% of particles that are 0.3 microns. As particles flow by, they are attracted and stick to nearby HEPA filter fibers. Air flows smoothly around filter fibers, but particles collide and get embedded. Microscopic particles move erratically, increasing the likelihood of being captured by interception or impaction. How does HEPA compare to HVAC filtration? 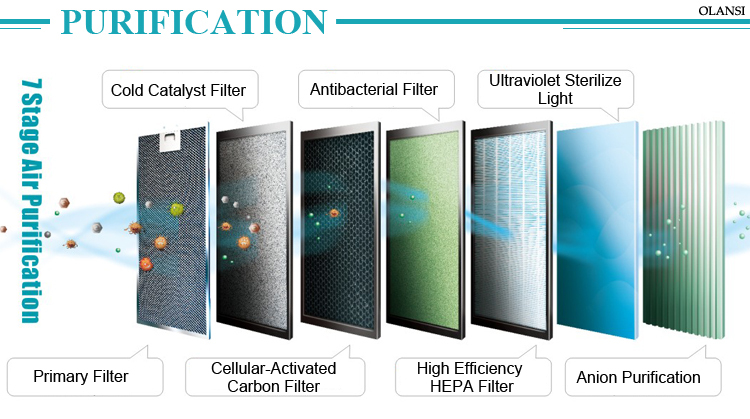 HEPA filters have the highest level of filtering available. Most home HVAC systems are not designed to handle the strain of the high resistance filtering of a HEPA filter, so an HVAC filter with a tight weave may reduce air flow and ultimately lower air quality. HVAC filters come in different MERV ratings,but even the most efficient MERV-rated HVAC filter is less efficient than an HEPA air purifier. If HEPA filtration is required, we recommend an air purifier.